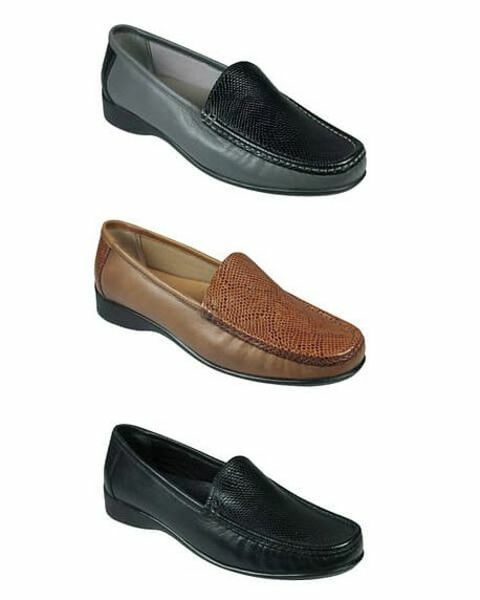 Classic slip on ladies shoe. Sizes 36-41 no half sizes. Ladies super soft slip on leather loafer with co-ordinating mock snake skin design to front and heel to complete your autumn outfit. Rubber sole for added grip. Black, Grey, Tan.